Here are some kind words from people we have worked with in our feild. Many thanks. Click here to read. Dominique Major has not only toured as a performer with Cirque du Soleil she has been a talent scout for them as well and is often called back for expertise. She is a German Wheel artist and also a level 3 certified international coach for Trampoline. As a coach for Canadian National team at World Championships her athletes received Silver and Bronze medals. As a circus artist she has toured many different shows including Trampoline and German wheel acts as solo and duo and has the desire to share her experience with future artists and athletes at FLiP. 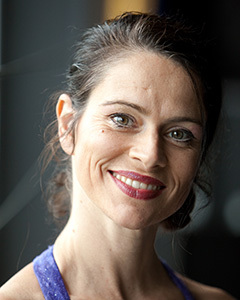 Dominique is responsible for the elite competitive trampoline team and the different programs of circus. With FlIP, Dominique opens her 2nd circus and trampoline school and it is with great pleasure she offers these high quality programs here in the Laurentians. Martin Varallo is a circus artist and world class Clown. Performing and touring with Cirque Du Soleil as principal clown, presenting his solo routine "15 - Love". He is an expert in mime, improvisation and performance. He is a talented juggler, object manipulator and handstand artist. He co-founded Stretch People, a duo, which one plaudits world wide for their inimitable style and physical comedy. 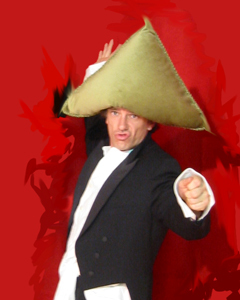 Touring world wide for over 20 years including long contracts with Teatro Zinzanni in San Francisco and Seattle, Pomp Duck and Circumstance in Berlin and the London International Mime Festival. He is a passionate and patient teacher and has taught the art of performance, physicality and comedy in all major circus schools around the world and often gives masterclasses and residencies at FLiP and beyond. "What would you attempt to do if you know you could not fail?"